Falling behind in threat analysis capabilities can negate your return on investment for packet capture technology, but it also leaves your network more vulnerable to the latest attack content and tactics. 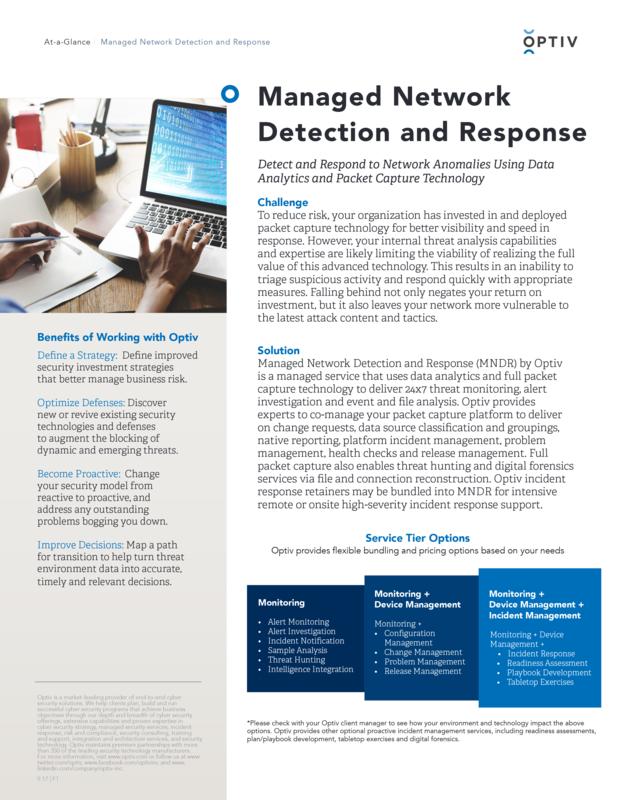 Managed Network Detection and Response (MNDR) by Optiv is a managed service that uses data analytics and full packet capture technology to deliver 24x7 threat monitoring, alert investigation and event and file analysis. Optiv can also co-manage your packet capture technology and respond to critical events.